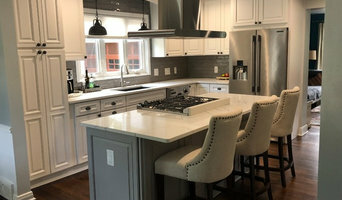 Award winning interior design firm, Dan Davis Design offers full-service interior design for residential and commercial projects in the Metro Detroit area. We are adept in large and small scale projects. We have spent years developing relationships with various showrooms, trades people and construction professionals to bring you the best team possible for your project. We put a great emphasis towards helping our clients achieve the function and aesthetic that are perfect for their needs. We are known for our innovative and individualistic spaces and our work has been seen in numerous design publications and blogs. With a focus on the environment and the neighborhood, each project is seen in its entirety. As a Designer, Contractor and Realtor the end result is only successful if the review of the job is done from every angle. Esthetics, Ergonomics, Budget, Investment return - consideration on all levels. The Art Structures team researches and guides its clients. The result is a beautiful, comfortable place to call home. For more refer to my Shain Park listing site - <a rel="nofollow" target="_blank" href="https://www.shainpark.com">https://www.shainpark.com</a> and my LinkedIn site - www.linkedin.com. Information is also available on www.trulia and www.realtor.com under Julie Ann Thayer - Shain Park Realtors. I own and operate a professional painting company in the metro-Detroit area and have successfully completed a variety of small to medium-sized painting projects in residential homes, condominiums, medical facilities and rental properties. My business objective is to provide the very best value and workmanship to my customers and to complete projects correctly the first time. That is why I emphasize the importance of surface preparation on every painting project and to use the best materials in the industry. Josel Blind Co Inc is a reputed window treatment company offering wide ranges of service in custom window treatments. This is a family owned company established in 1962 and having more than 50 years service experience and serving in greater metro Detroit area. Josel Blind Co Inc is located in Clawson, Michigan. The company services Oakland County, Macomb County, and most of Wayne County. The company is specialized in offering professional consultation of window treatments. Competent and reliable professionals are the backbone of Josel Blind Co Inc and service from the company really makes the difference. All the staff employed by the company are highly professional and skilled. They use all major brands of window treatment product and more! The company also offers free estimate service which will give customers the leverage to compare their estimate with other companies. We at Josel Blind Co Inc. have been designing and servicing window treatments since 1962. Offering its services in the greater Metro Detroit area for more than 50 years, Josel Blind Company Inc. continues the family tradition, committed to offering quality service with superior workmanship in all areas of window treatments. Josel Blind Co Inc. offers a free consultation and estimates. Assisting clients not only with quality products and decorative solutions but within any budget. Josel Blind Company Inc. has received awards of excellence including Angies List Super Service Award in 2013, 2014 & 2015. We use quality products from reputable name brand companies such as Kathy Ireland by Alta, Hunter Douglas, and many more. Our client's preference is of the utmost importance, our consultations allow clients to consider options and design ideas that suits the clients design palette within their budgets. But before you start sending out dozens of emails and making phone calls, sit down and think about your project. What's your budget? What is the scope of your project? 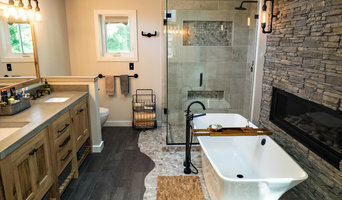 Will you need more than one type of professional to complete your home improvement project in Royal Oak, MI? Can you afford to complete the full project now, or should you tackle it bit by bit? Once you've settled on your project’s priorities, budget and scope, it's time to start researching Royal Oak, MI home design professionals. Don't sell yourself short and settle on the first professional you set your sights on. Make sure that you're working with someone local, who can get to the jobsite easily and efficiently. Look into the person’s reviews, ask to speak with former clients and to see previous jobs in person. Take a good look at their portfolio photos: How similar are these projects to your own? Be honest — that mansion might look beautiful, but it might not have a lot in common with your little bungalow. Reach out to multiple professionals — especially for larger projects — and don't settle for the first bid you hear. Comparing multiple Royal Oak, MI professionals' bids and experiences can help you find the one that’s best for you. Ask a lot of questions now, so you won't have unexpected answers later. Find a home design professional on Houzz. Narrow down your search by type of professional and location. 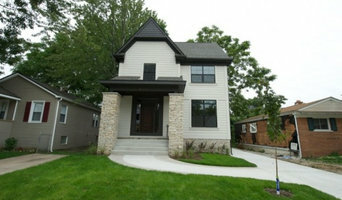 Browse Royal Oak, MI portfolio photos, read client reviews and contact each Royal Oak, MI professional for more information. Check out the information in the specialized professional sections too for tips on how to hire the right professional for your project.